We are always on the lookout for vape brands that strive to deliver great taste and quality. Rove meets both criteria. Rove believes in honesty, simplicity, and transparency. 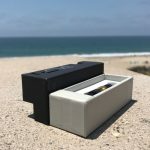 They use art and science to create cannabis oil vape cartridges that are flavorful and safe to inhale. The Rove line of cannabis oils is made using 100% California grown cannabis. Using liquid carbon dioxide extraction, Rove scientists produce fine quality oils to create clean and potent vape cartridges. 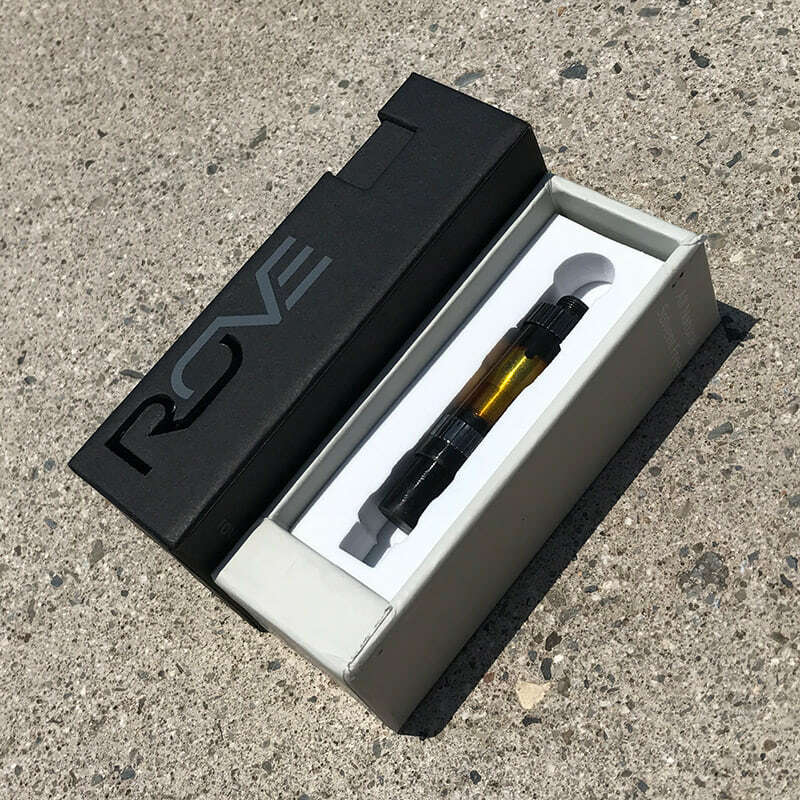 All Rove vape cartridges are quite potent with high THC levels. 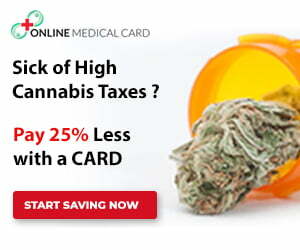 Each cartridge tests in the ranges of 70%-80% THC and 1%-2% CBD. 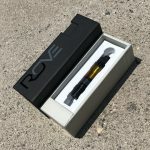 Check the Rove Brand website to see their latest lab results on their entire vape cartridge line. We were pleased with the quality of Rove’s products. Their vapes are portable, potent and tasty. The only drawback we noticed was with the thickness of the oil. Because their oils are so thick, it can be difficult to get full hits. But, if you preheat the oil, you should be able to get satisfyingly smooth, dense clouds. These carts work best with a push-button vape battery. Hold down the button for a few seconds before taking a draw. Some vape batteries like the Rokin Mini vape, have a pre-heat feature to loosen up thick or cold oils. 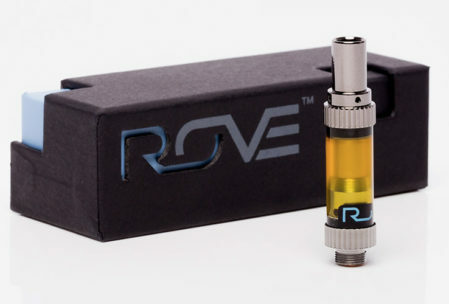 All Rove cannabis oils pass through a solvent-less purification system which gives rise to their clean, crisp flavors. We were fortunate to try the Sherbet (hybrid) and Ape (indica) cannabis oil vape cartridges. The hits on both cartridges were smooth on the throat and delivered yummy flavors. The Sherbet cartridge had an amazing buttery taste with a citrusy aroma. After taking a couple hits of the Sherbet oil, we started to feel very relaxed. It was definitely a great mix between a head and body high. The high itself was not too over-powering. The Ape cartridge was rich in flavor with notes of sweet berry flavors and aroma. 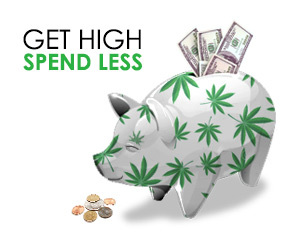 The Ape cannabis oil gave us a nice head high. The high started in the eyes and went from head to toe allowing for a perfect indica high. 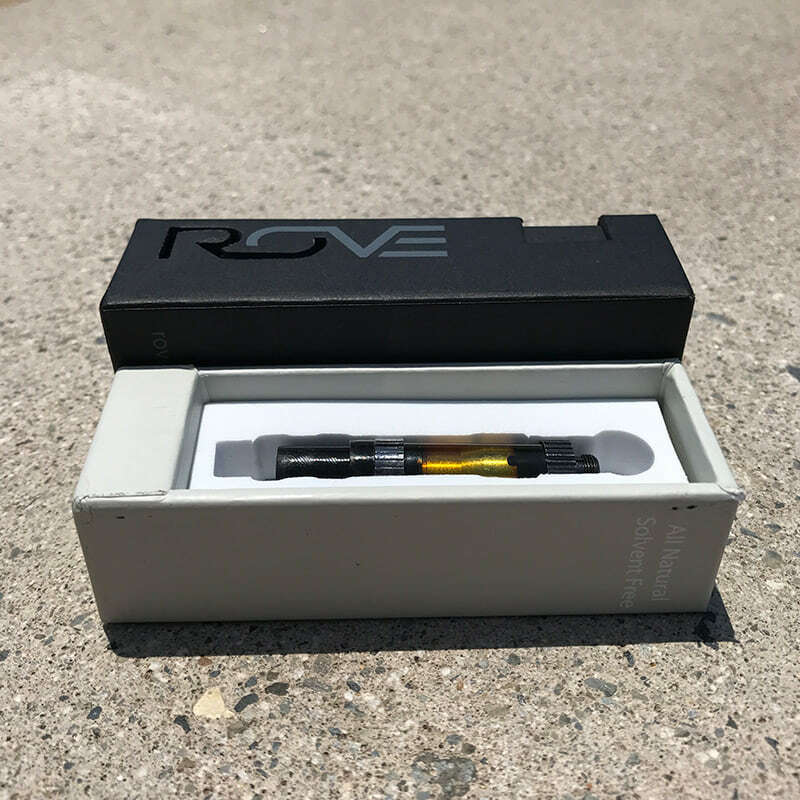 Rove cartridges are available throughout California dispensaries for around $30 for half gram cartridge (500 mg) and around $45 for a full gram (1000 mg) cartridge. Rove also offers a their own branded 510 threaded batteries which are sold separately. 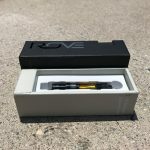 You can find Rove products and prices at your local California dispensary. 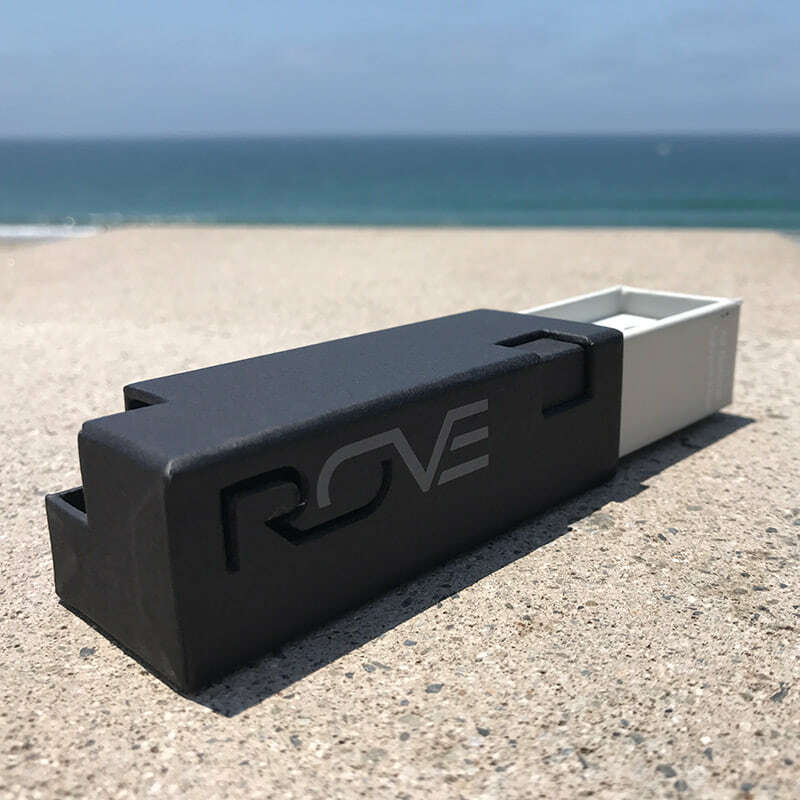 Visit the Rove Brand website for specific locations where available. Having the hardest time getting a hit. Super frustrating. I’ve been using a Vape for 3 1/2 years and I’ve never had this issue with any cartridge I have ever used .